Do you love Neuroscience and medical imaging? 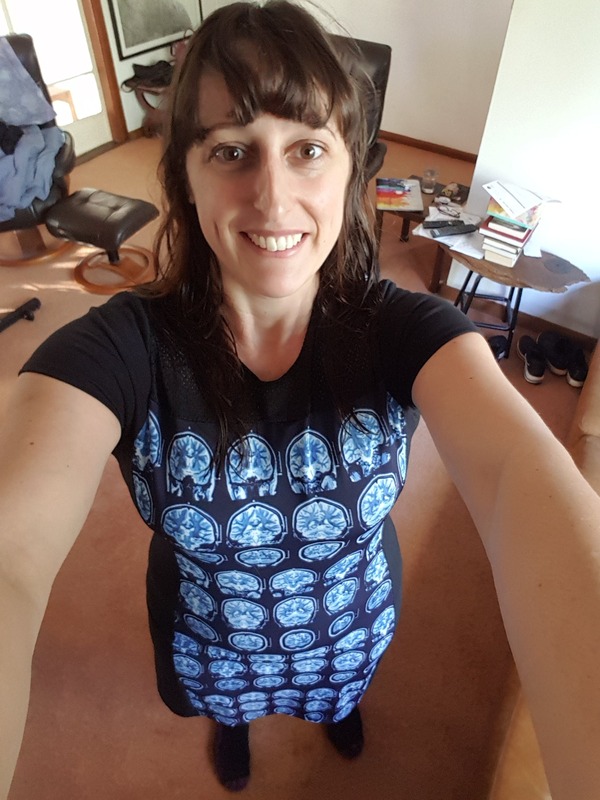 Now you can wear Neuro-imagery in the MRI Brain Scan Dress! I was delightfully surprised at how comfortable and elegant the dress was. The fit is perfect for my 1x body and the quality is fantastic. I love it. Great fit, great dress, totally relevant and fun. My friend will send in our picture. I am planning to wear the dress while I give a talk at our state stroke conference. I absolutely love it! I am absolutely chuffed with this dress. The fit is perfect and the quality is excellent. Thank you so much for making my work wardrobe awesome! !